I haven’t written here much in the past few weeks. I’ve been posting less pictures and less updates in all the other usual places, too. And it’s not that I have nothing to share, but by the time the moment has come and gone, it feels too…too something…and I just tuck them away in my heart’s pocket and move on. I’m always toeing the line between savoring and saving. We’ve stayed busy and done lots of things, but when I think back I can’t really tell you what we’ve done. Our days are a blur of bible verses and Christian crafts. (God bless Vacation Bible School). And I am worn slap out. I think the children are, too. But it’s a good tired. It’s a sleep-so-hard-that-you-don’t-even-move-a-muscle-all-night kind of tired. 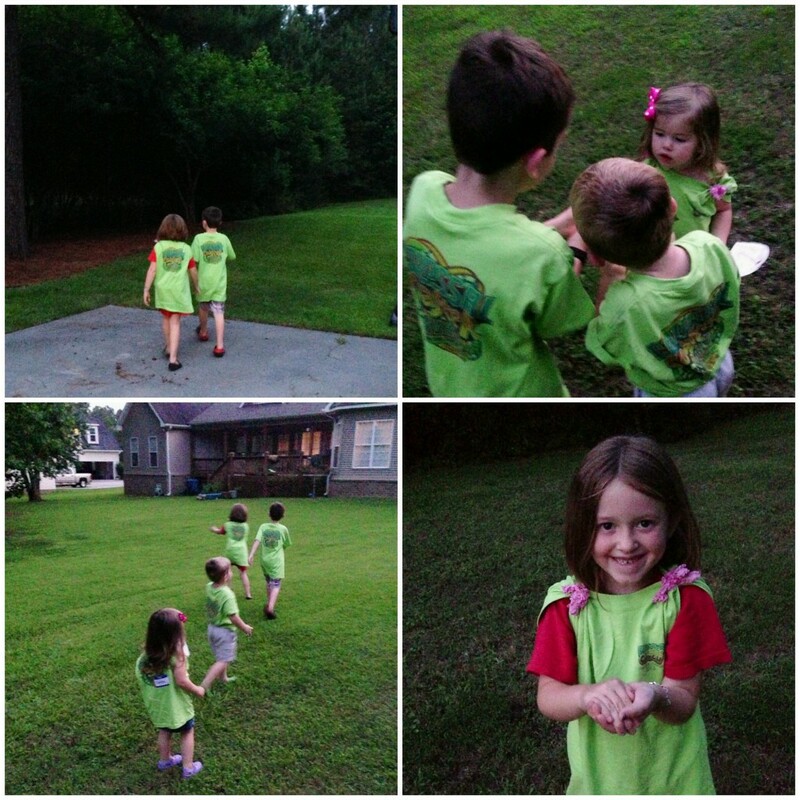 The next day the bigs had gone to a different VBS with a friend and the littles were supposed to be watching TV while I got cleaned up and ready to go. When I came out of the bathroom, I discovered the backdoor cracked open and the littles hanging out in the garage. My 4yo now knows how to unlock the very top lock and open doorknobs with kid-proof covers, I found out. He’d let them out and they were experimenting with the spray paint. I found a few spots on the ground and one on the gutter drain and a little on his hands. I figured it just came from some residue from the nozzle. We moved the cans and washed hands and talked about why you shouldn’t just wander out of the house. And by talk I mean I nearly blew a gasket. Our day progressed and we made it to the VBS at our church and some friends asked what had happened to my van. That’s when I discovered why his hands were so covered in paint. He’d spray painted my car and then tried to wipe it off. BAH! My initial reaction wasn’t so great, but I ultimately decided that it’s just stuff. And he’s a kid. And stuff happens. The more I told the story about the spray paint, the less painful it became and then eventually I just gave up and laughed about it. It is funny when you think about it. So by the time we were headed back home, I was in a good mood and we were all having a great evening. That’s when a deer lunged at my car. I saw it coming and jerked my wheel to the side and then back again so that I wouldn’t hit the oncoming car. 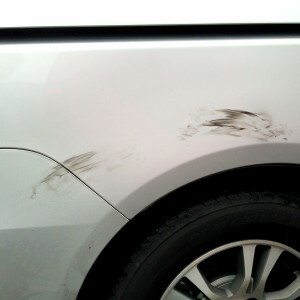 When I swerved, I moved with the deer, so we managed to not even get a little dent! I saw the oncoming car hit it again and I tried to turn around to check on them. While I was doing that, I almost ran over a kitten. Good heavens, I just wanted to get home! The other car was fine. The deer? Not so much. I’m so grateful that we are safe, and this is one of those times when I really feel like I had a little supernatural help to keep us from harm. When we got home, I found myself wiping deer blood off the side of my car and then scrubbing paint off with WD-40. With that and a little elbow grease, it comes right off without dulling the paint! Today was just as busy but a lot less exciting. I’m good with that. Also? We caught fireflies tonight. Gosh, I love those little glowing beauties!